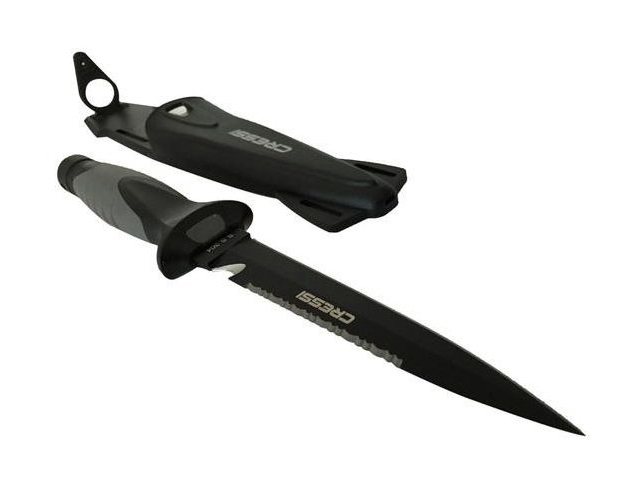 • Medium-sized stiletto knife designed for underwater fishing. 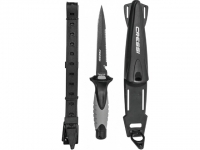 • Manageable, high blade penetration and durability with a secure grip. • The blade extends through the interior of the handle and, at the end of the handle, has a small pommel. • Tempered AISI 304 steel with Black Coating. • The duration of these features is guaranteed not by the sharpness itself, but by the quality of the material that guarantees the durability of the blade. • Rhomboidal cross section for greater resistance to flexing and breaking. • Double-edged blade with one smooth-edged side and the other serrated. • Comfortable handle with rubbery polymer coating. 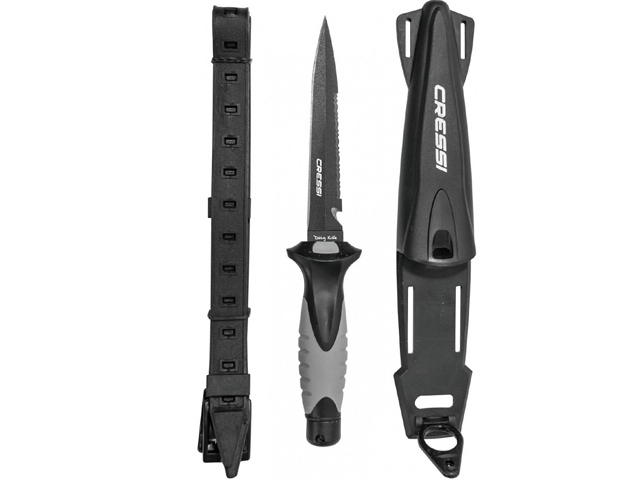 • Plastic sheath, very hydrodynamic with a rubber ring knife attachment. • Calf attachment using two elastic straps (included). This Product was added to our catalogue on Saturday, 27. October 2018.